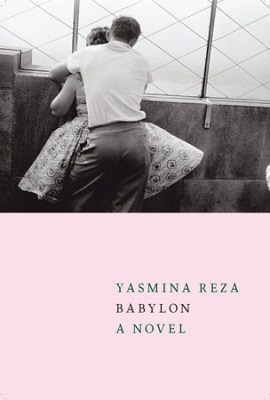 The following is from Yasmina Reza's novel, Babylon. Elisabeth, a middle-aged woman, befriends a neighbor at a dinner party and then embarks with him on an adventure that is equal parts vaudeville and high tragedy. Yasmina Reza is a French dramatist, novelist, and actress. She has won the Molière Award, a Tony Award, and a Laurence Olivier Award for her work. He’s against a wall, in the street. Standing there in suit and tie. He has ears that stick out, a frightened glance, short white hair. He’s thin, narrow shoulders. He’s holding out a magazine with the word AWAKE on it. The photo caption reads “Jehovah’s Witness—Los Angeles.” The picture dates from 1955. He looked like a little boy. He’s been dead a long time. He was properly dressed for handing out religious tracts. He was alone, driven by a sad, sullen perseverance. At his feet there seems to be a briefcase—the handle shows—that holds dozens more copies that nobody, or hardly anybody, will take from him. 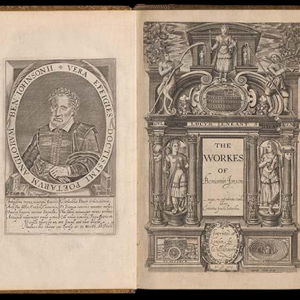 And those tracts, in huge printings, recall death as well. The spurts of optimism—too many glasses, too many chairs—that drive us to accumulate things and soon turn them futile. Things and our efforts. The wall he’s standing against is massive. You sense that from its heavy opaqueness, from the size of the stone blocks. It is probably still standing, there in Los Angeles. The rest has gone scattered somewhere: the little man in a loose suit with his pointed ears who’s set up in front of it to hand out a religious magazine, his white shirt and his dark tie, his trousers worn thin at the knees, his briefcase, his magazines. What does it matter what a person is, thinks, becomes? You’re somewhere in the landscape until the day you’re not anymore. Yesterday it was raining. I picked up Robert Frank’s The Americans, it had got lost in the bookcase, stuck at the back of a shelf. I reopened the book I hadn’t opened for forty years. I remembered the fellow standing on a street selling a magazine. The photo is grainier, paler than I thought. I wanted to see it again, The Americans, the saddest book on earth. Dead people, gas pumps, people alone in cowboy hats. Turning the pages you see a parade of jukeboxes, television sets, trappings of the new prosperity. They’re just as alone as the man, these oversized new objects, too heavy, too bright, set down in spots unprepared for them. One fine day someone carries them off. They’ll make another little journey, jostled along to the dump. You’re somewhere in the landscape until the day you’re not. I thought of the Scopitone jukebox in the harbor at Dieppe. We took off in the little Renault 2CV at three in the morning to go and see the sea. I must have been no more than seventeen and I was in love with Joseph Denner. We barreled along, seven of us, in the jalopy with its belly dragging on the road. I was the only girl. Denner was driving. We headed toward Dieppe drinking from a bottle of Red Valstar. We got to the port at six, we went into the first tavern we saw and got some Picon beer. There was a Scopitone in the place. We cracked up watching the performers. At one point Denner put on Fernand Raynaud, “The Butcher,” and we laughed till we cried, from the show and from the Picon. Then we drove back. We were young. We didn’t know it was irretrievable. Today I’m sixty-two years old. I can’t say I’ve figured out how to be happy in life, I couldn’t give myself a score of fourteen out of twenty when I come to die, like that colleague of Pierre’s who said “Well— maybe fourteen out of twenty,” I’d give myself maybe a twelve, because less would look ungrateful or hurt someone, I’d cheat and say twelve out of twenty. When I’m in the ground what difference will it make? Nobody will care whether or not I managed to be happy in life, and I won’t much care either. On my sixtieth birthday, Jean-Lino Manoscrivi invited me to the racetrack at Auteuil. We ran into each other in the stairwell, we were both going up on foot, I to keep a presentable figure, he out of a phobia for enclosed spaces. He was skinny, not tall, a pockmarked face, a high forehead stretching back to the balding man’s usual comb-over. He wore glasses with thick frames that made him look old. He lived on the fifth floor, I on the fourth. It made for a kind of complicity, these encounters in the enclosed stairwell no one else ever used. In some modern-day apartment buildings, the stairs are set off and ugly, only used by moving men. In fact the tenants call it the service staircase. For a while, he and I weren’t really acquainted, I just knew he worked in appliances; he knew I worked at the Pasteur Institute. My job title—patent engineer—means nothing to people and I no longer try to describe it in any appealing way. Once, Pierre and I had gone upstairs to have a drink at their place, as couples. His wife was some sort of New Age therapist who used to manage a shoe store. They were recently married—I mean, compared to us. Running into Jean-Lino in the stairwell the night before my birthday, I had said, “I’m turning sixty tomorrow.” I was dragging my feet and it just came to me like that. “You’re not sixty yet, are you, Jean-Lino?” “Soon,” he answered. I could see that he wanted to say something nice but he didn’t dare. As we got to my floor I added, “It’s all over for me, I give up.” He asked if I’d ever been to the races. I said no. Stammering a little, he suggested that if I was free, maybe I might join him the next day at Auteuil at lunchtime. When I got to the track he was settled in the restaurant, pressed against the glass wall over the paddock. On the table, a bottle of champagne in a bucket, the turf papers spread out all marked up, peanut shells scattered among old ticket stubs. He was waiting for me like a relaxed fellow hosting friends at his club, in total contrast to the way I knew him. We snacked on some rich dish he chose. He got excited over each race, jumping up, roaring, brandishing his fork with its dangling strands of poached leek. Every five minutes he would go out to smoke half a cigarette and come back in with new strategies. I’d never seen him with that level of energy, and certainly not of happiness. We placed some minor bets on horses whose potential we knew nothing about, he had “a hunch” about them, his private convictions. He won a little bit, maybe the price of the champagne (we’d drunk the whole bottle, mostly he). I pocketed three euros. Three euros, I said to myself, on the day you turned sixty—nice. I sensed that Jean-Lino Manoscrivi was lonely. A Robert Frank character for our times. With his Bic pen and his racing journal, and especially with his fedora. He had put together a little ritual for himself, he’d carved out a space in time that suited him. At the racetrack he took on broader shoulders, even his voice changed. I thought about my father’s sixtieth birthday. We went to eat choucroute at République. That was the age for parents—an enormous, abstract age. Now you’re the one who’s that age. How can that be? A girl cuts up a little, trots through life in spike heels and face paint, and suddenly she’s sixty. I would go off to take pictures with Joseph Denner. He liked photography and I liked everything he liked. I cut my biology classes. Nobody worried about the future in those years. An uncle had given me a secondhand Konika, real professional-looking, all the more since I’d picked up a Nikon strap. Denner had an Olympus that wasn’t reflex, we’d focus with a built-in rangefinder. The idea was we would both shoot the same subject at the same instant from the same position and then each make our own image. We’d shoot the street like the greats we admired—passersby and animals at the zoo across from school, but mainly inside the bars Denner was fond of around the Cardinet Bridge. The drifters, the barflies mummified in the cubicles in back. We would develop the contact sheets at some friend’s place. We’d compare them and pick the good ones to blow up. What was the “good” one—the best composed? the one that caught some tiny unfathomable interaction? Who can say? I think about Joseph Denner regularly. Sometimes I wonder how he would have turned out. But a guy who dies of cirrhosis of the liver at thirty-six, how could he turn out? Since this thing happened here, it’s as if he’s been invited back into my head. The whole business would have really made him laugh. The Americans gave me back some images of being young. We daydreamed and did nothing. We’d watch people go by, we’d make up lives for them, decide what objects they looked like—a mallet, a bandage . . . We’d laugh. Underneath the laughter there was a slightly bitter boredom. I’d really like to see them again, those pictures we took around the Cardinet Bridge. They probably got thrown out here one day with old papers. After that birthday at Auteuil, I developed some affection for Jean-Lino Manoscrivi. If we left the building at the same time we’d walk a little ways together and sometimes we’d have a coffee at the corner. Outdoors he could smoke, at home not. I saw him as a very gentle man, and I still see him that way. There was never any familiarity between us and we always used the formal vous. But we did talk, we sometimes told each other things we didn’t tell other people. He especially, but it could happen that I did too. We discovered we had the same dislike for our childhoods, the same desire to just cross them out. One day, speaking of the course of his life journey, he said, “Well anyhow, the worst is over with.” I agreed. Jean-Lino was the grandson of Italian Jewish immigrants on his father’s side. His father had started out doing odd jobs in a trimmings workshop. He went on to specialize in ribbons, to the point of opening a notions shop during the sixties. A little alleyway storefront on Avenue Parmentier. His mother tended the register. They lived in a courtyard flat a few steps from the shop. The parents worked hard and were not affectionate; Jean-Lino didn’t expand on the topic. He had a brother, much older, who did well in the garment industry. He himself got into trouble, his mother threw him out of the house. He went into the food line after getting a certificate in pastry making. At the most hopeful period in his life, he set up a restaurant. It was hard—no vacations, too little business. In the end, the government employment center paid for his training in mass marketing and a placement agency got him into the Guli stores where he handled after-sales support on home appliances. He’d never had a child. That was the one reproach he dared to level at the fates that ruled his existence. His first wife had left him after the restaurant failed. When he met Lydie, she was already a grandmother by a daughter from an earlier marriage. For the past two years the child had been coming regularly to their apartment. The parents had separated on such bad terms that Social Services got involved, and they would unload the kid at grandma’s place on the slightest excuse. With a tenderness that had never found an outlet (except with his cat), Jean-Lino had welcomed little Rémi with open arms, and tried to get the boy to love him. Is it right to want to make someone love you? Isn’t that the kind of project that’s always doomed to disaster? From Babylon. Used with permission of Seven Stories Press. Copyright © 2018 by Yasmina Reza.